Asli Demirguc-Kunt: I think the global macro outlook is looking down. So if you have been following the World Bank products, the global economic prospects that we issue had the title: Darkening Skies. I think that encapsulates what’s going on. The slowing activity in major economies, the trade tensions, the potentially disorderly developments in a number of countries, political uncertainty — these things have basically been bringing the growth forecast down generally. We asked the unbanked “why don’t you have a bank account?” In different regions different things jump out and in ECA the lack of trust in banks is a very significant reason. 30% of the people across different countries say that a lack of trust in banks is the reason why they don’t have a bank account. That is much more than the developing country average of 15%. 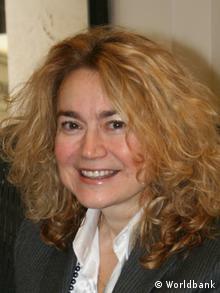 Asli Demirguc-Kunt is chief economist of the World Bank’s Europe and Central Asia Region. Next articleProcessed Fruits and Vegetables Market to hit $392 billion by 2025: Global Market Insights, Inc.